AJAR Indonesia is looking for an Accounting Officer who would be based in the Indonesian Office. The Accounting Officer is a member of the AJAR Finance team, responsible for all the accounting and financial management of all the projects and programme of AJAR. Assist the Supervisor and Finance/Admin Coordinator in all aspects of developing and implementing a comprehensive and integrated programme in Indonesia and the region. Provide administrative and financial support for the daily running of the Jakarta Office, including management of petty cash, payment of bills, maintenance of office equipment and supplies. Provide administrative and financial support for the regional programme as required. Liaise with partners and consultants on programmatic and administrative matters, including preparation and delivery of trainings, organisation of travel, and other capacity-building activities. Coordinate with the Programme Manager and Finance/Admin Coordinator, manage bookings and provide administrative, logistical and financial support. Travel outside Jakarta as required to implement the duties stated above. Indonesian national with a good command of written and spoken English. Minimum of 2 years of work experience in a similar capacity. Ability to establish and maintain effective working relationships with others in a team-oriented environment. Willing to travel inside/outside Indonesia. 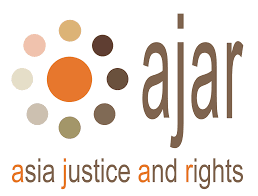 Please submit your application (a letter of intent and Curriculum Vitae) no later than 30 July 2018 by e-mail only to: office@asia-ajar.org. Please clearly indicate “Application for Accounting Officer” in the email subject. Only complete applications matching the required selection criteria will be considered. Only short-listed candidates will be contacted.